This chandelier is an impressive piece of Empire style design, featuring finely-cast winged female sculptures, swans, and stylised foliage. 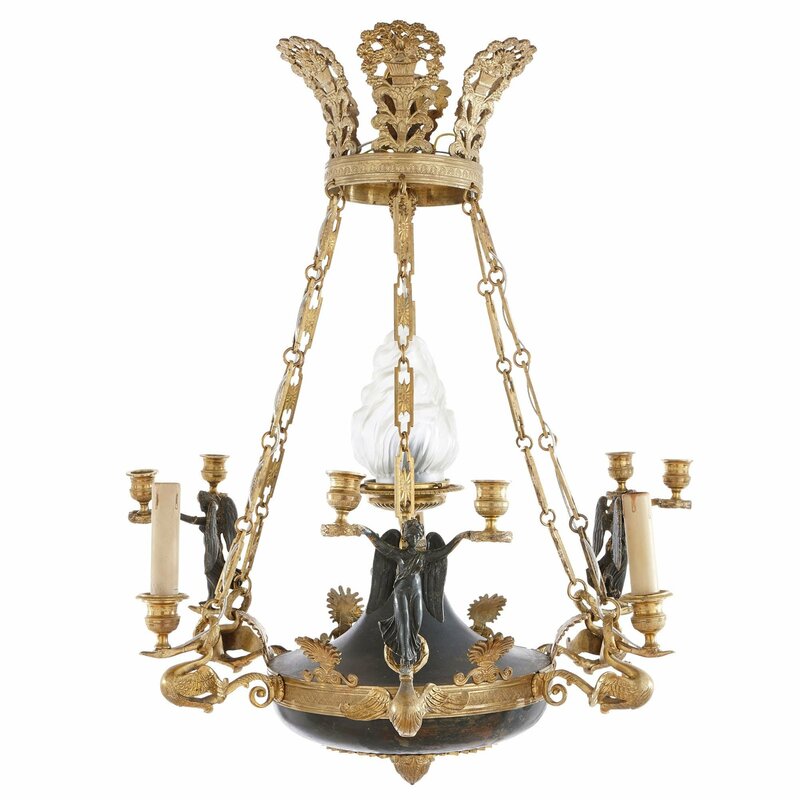 The chandelier is composed of a patinated bronze bowl with a cone-shaped neck, which terminates in a foliate gilt bronze end, topped by a frosted glass flame-shaped light shade. The bowl’s base is decorated with a gilt bronze foliate flourish. 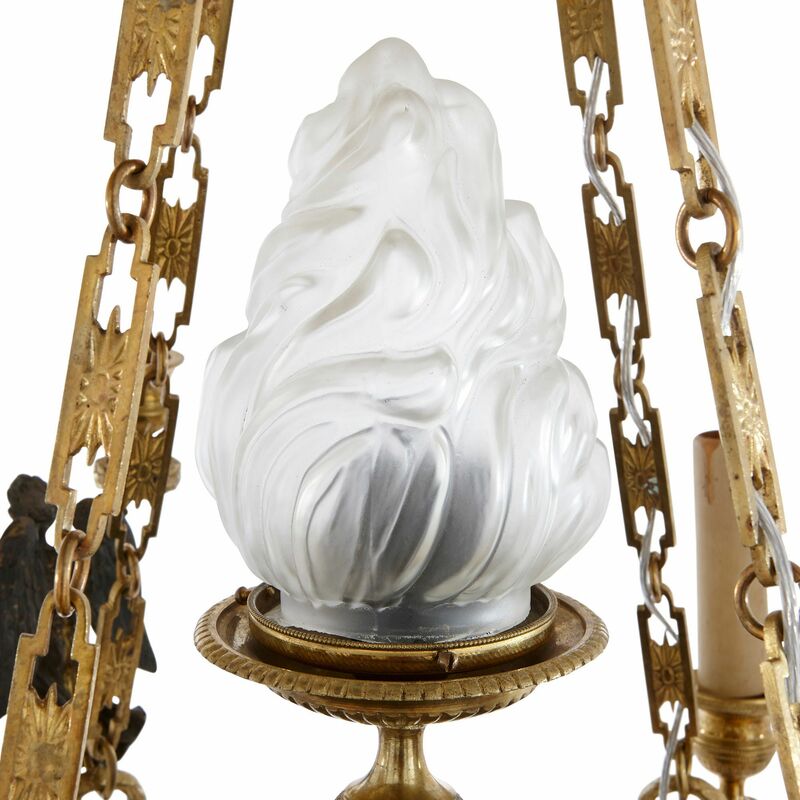 Its body is encircled by a gilt bronze band, which is fitted with six gilt bronze arms in the shape of swans. 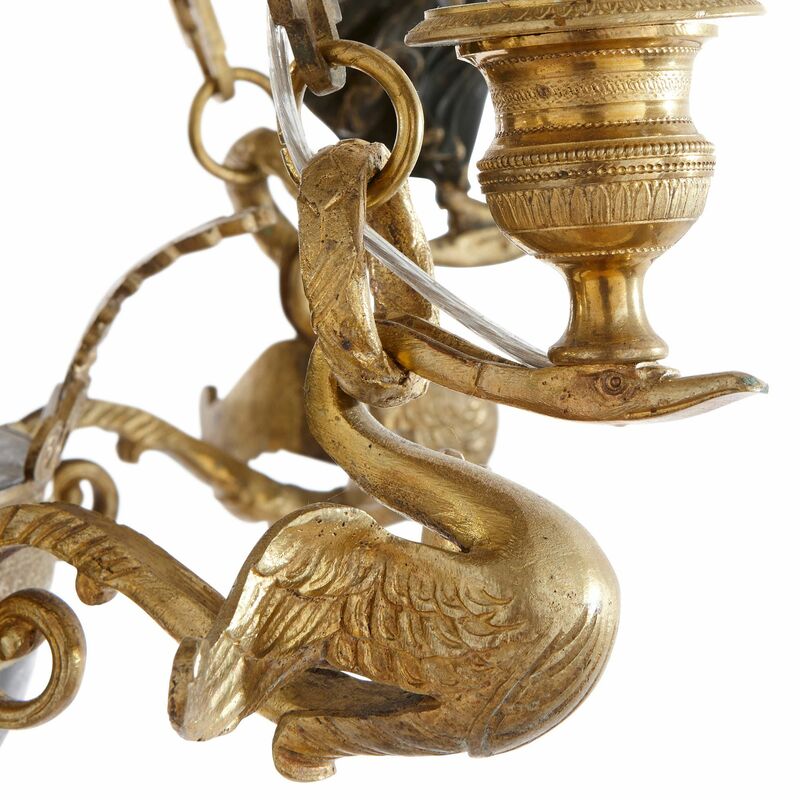 Three of the swans are topped by gilt bronze urn-shaped capitals with candle-tubes. The other three swans are surmounted by patinated bronze sculptures of winged women, each holding two gilt bronze wreaths, topped by urn-shaped capitals. 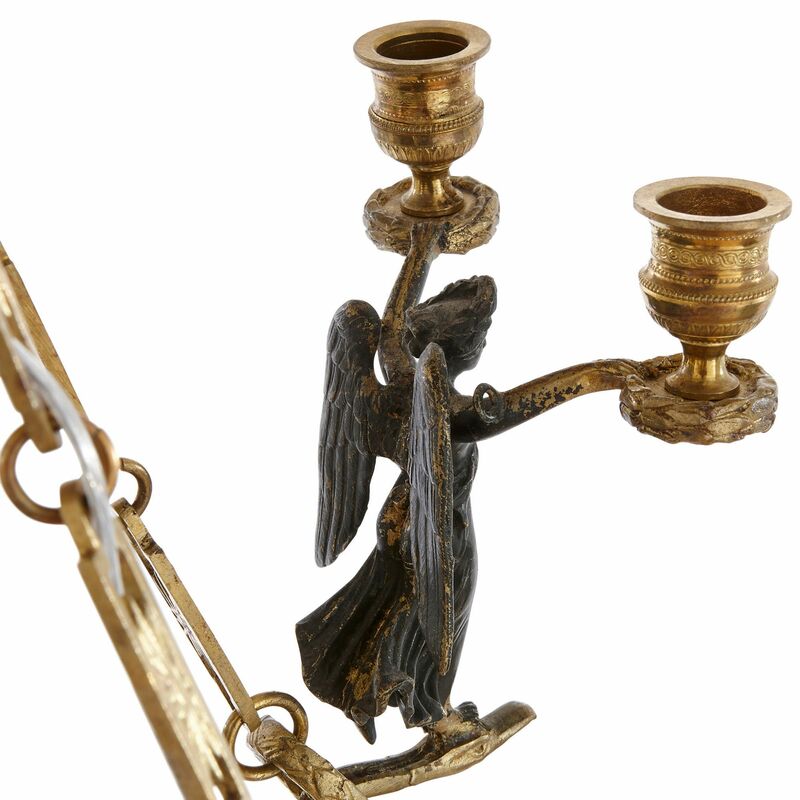 The space between the arms is decorated with free-standing stylised gilt bronze palmettes. 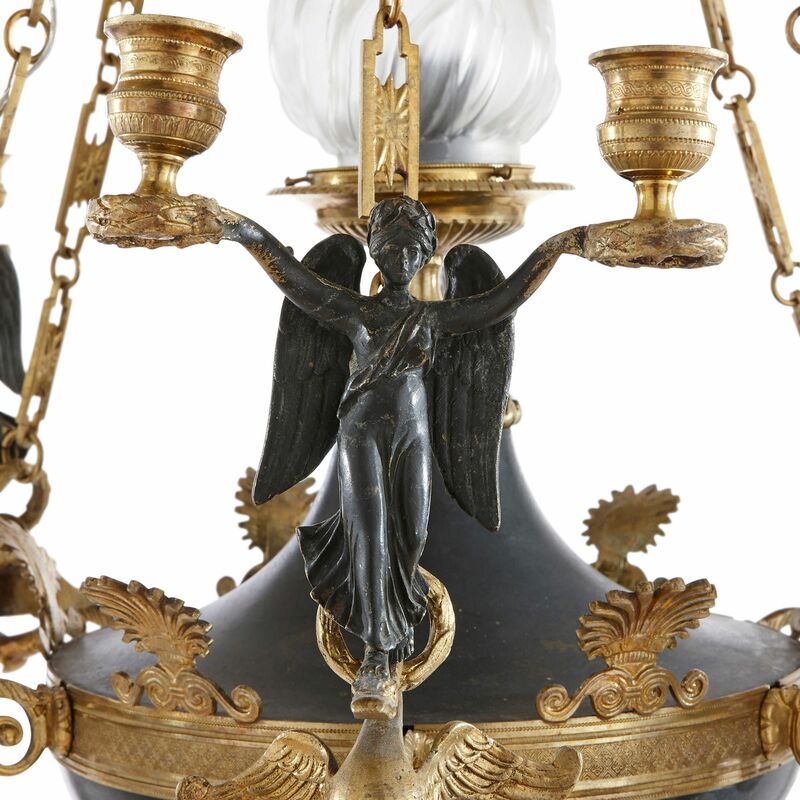 Six gilt bronze chains extend from the arms to a top canopy. 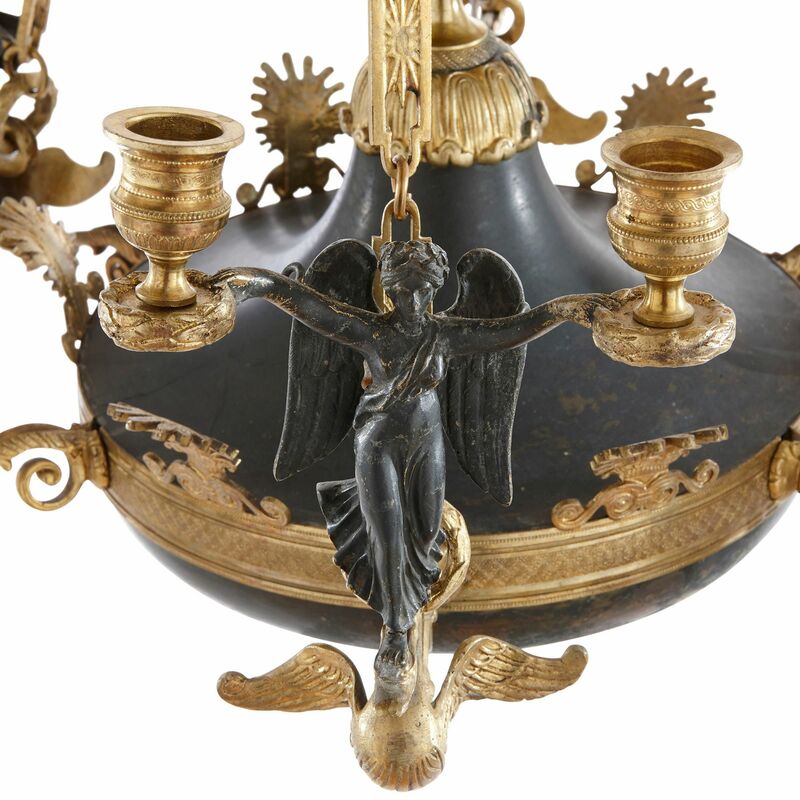 This gilt bronze canopy is decorated, on its underside, with a pinecone drop finial. 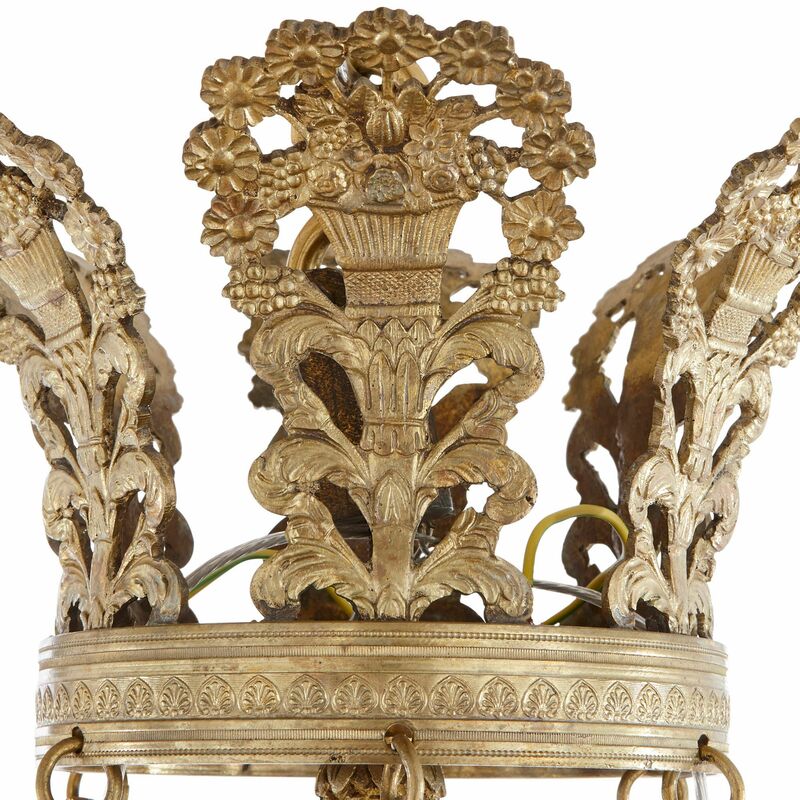 Its top edge is encircled by a crown of gilt bronze stylise foliate motifs, featuring scrolled foliage topped by flower baskets.